I had to ask myself today, is eating out really faster? 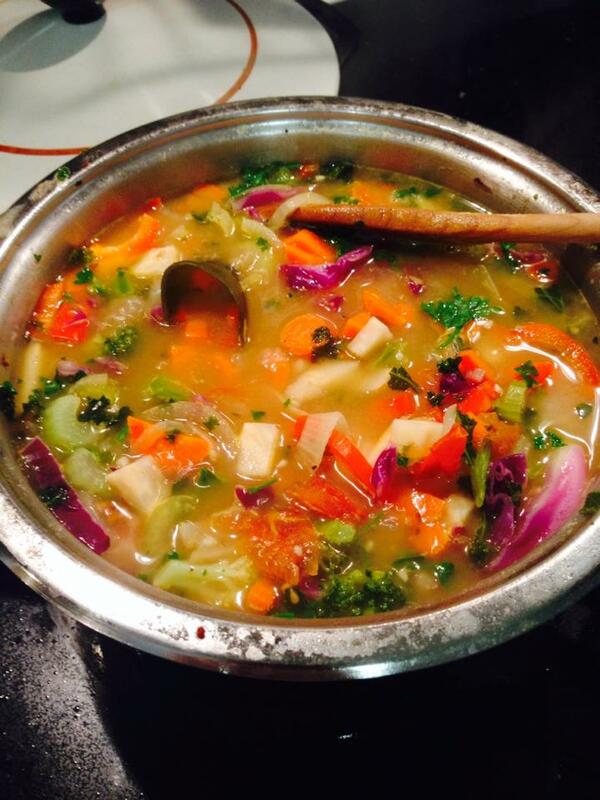 This soup took me less than 30 minutes to make. Wait. Doesn’t it take about that long to eat out somewhere? Considering that I literally just tossed everything in there that was in my fridge about to expire, I was really surprised at how well it turned out. So good! So I’m gonna call it Expiration Soup, ha ha ha! Here are the ingredients (by memory – hope it’s all there). Enjoy!